With their striped tails, shiny eyes, and mask-like facial markings, raccoons are one of those woodland creatures that many people find irresistibly adorable. Unfortunately, these critters are also incredibly destructive for their small size and unassuming appearance. 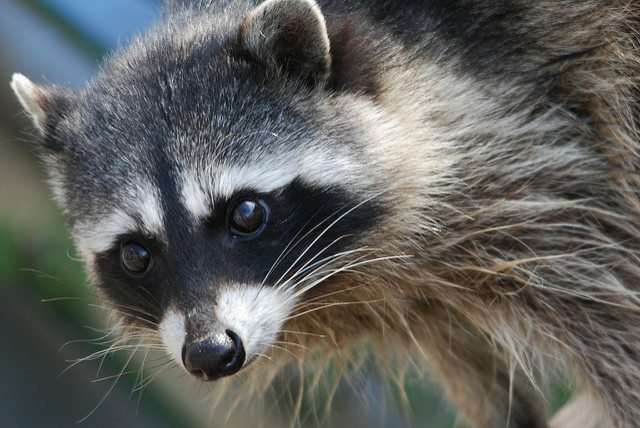 When a raccoon invades your space, don’t fall for its charms—evict it immediately. Raccoons have a knack for infiltrating the chimneys, attics, and walls of human houses. Once they’ve “set up shop,” they tend to make a make a mess of things by ripping holes in your walls, destroying air ducts, and tearing up wires and insulation. There’s also the issues of diseases; raccoons are notorious for carrying rabies, and contact with their urine and feces can infect humans with leptospirosis and roundworms. And, of course, there’s the issue of raccoons multiplying in your home. What’s worse than having one raccoon in your attic? Having an aggressive mother raccoon and her four babies in your attic! If you suspect that raccoons have moved into your home, or just hear an unnerving scratching or skittering sound inside your walls at night, don’t ignore the matter. Call a specialist immediately. Chimney and Wildlife Specialists can be your go-to team for raccoon removal. We’re a BBB-accredited, award-winning company that utilizes humane, safe, and cutting-edge techniques to help homeowners get rid of pests. All of our specialists are certified, insured, and well-trained, so even the toughest jobs can be done quickly, efficiently, and affordably. We’re locally owned and operated, and in many cases, we can actually offer same-day, emergency animal control services. For raccoon removal in the Dallas, Fort Worth, and Houston areas, look no further than CWS. Still have questions or concerns about our methods? Not sure how your home could have gotten infested in the first place? A specialist will be happy to answer these questions—in detail—before we even get started working. Not only does CWS want to help you with your current predicament, but we want to make sure you don’t find yourself in the same situation a few months down the road. If raccoons are wrecking your property, don’t delay—contact Chimney and Wildlife Specialists today!